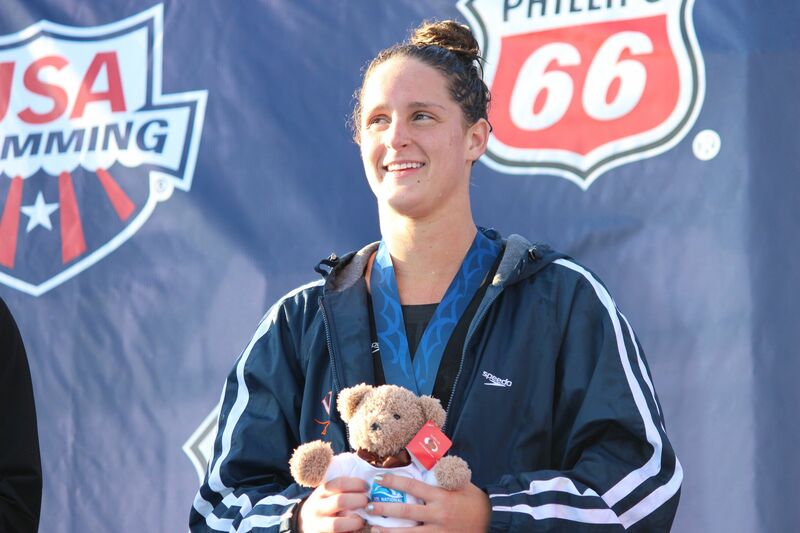 That might turn out to be true for the California “Baby Bear,” but look a few places below where Runge hangs out as the top seed and you will see Brittany MacLean, Georgia’s reigning champion in the 500 and 1650 freestyles. MacLean won that 500 last year by inches over Missy Franklin, and until Runge broke MacLean’s NCAA record last week, MacLean looked like a near certainty for another double. But don’t expect the distance freestyles to be a two-woman battle for the title. Any of the top 10 seeds in the 500 have chance if they can get into the championship final. I predict that as many as four swimmers will be under 4:33 in the final, and a possible sub-4:30 is in the works, but only if race strategies don’t dictate a slow opening pace. As for the 1650 freestyle, MacLean has more racing experience than Runge in this distance. Runge, who was pretty much a drop-dead sprinter three years ago, switched to distance freestyle while training with North Baltimore Aquatic Club 18 months ago. The result was a spot on the world championship team in the 400 free and silver in that event at the Pan Pacific championships. MacLean’s accomplishments in the past year have improved as well since her NCAA titles, and she could be riding on that upswing. Don’t let her fourth seed in the 500 and sixth seed in the mile fool you. Besides Runge and MacLean, these three ladies could be extremely dangerous in the distance freestyle events in two weeks. Like Runge, Ryan is a freshman and has years of training at North Baltimore under her belt. But Ryan, having a great season at Michigan, has an advantage: distance freestyle has always been her forte. Though the 500 free could be viewed as a bit too short for Ryan, she continues to excel in it and will be dangerous as the race progresses. While Runge and others will likely push the pace early, Ryan could even-split or negative-split her races and land a surprise attack at the finish. Ryan has had a lot of success in the long course pool, placing third in the 800 and fourth in the 400 free at the 2012 Olympic Trials. The exciting thing about the mile is that Ryan is seeded ninth in the event, which means she will not swim in the fastest timed-final heat. Watch for her to put up a time that will put a little bit of fear into the eight ladies racing in the final heat. 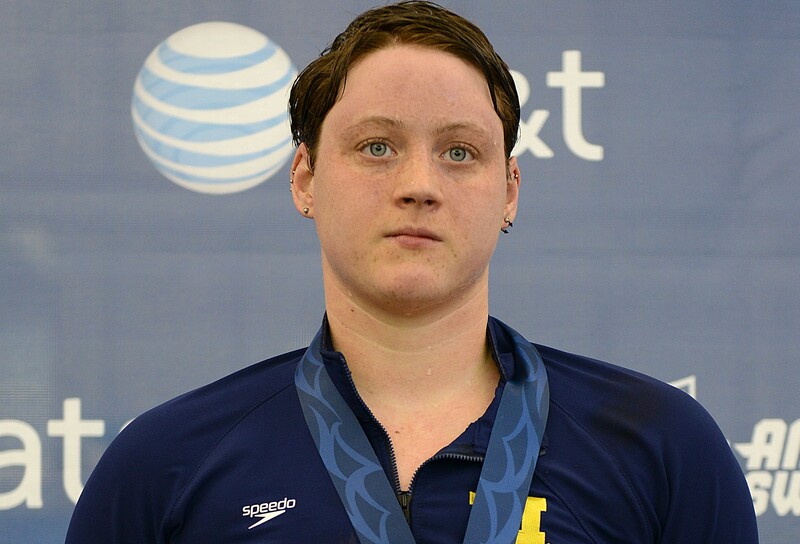 Smith, a sophomore at Virginia, had a breakout summer season in 2014, earning a place on the Pan Pacific championships team as well as a spot on the 800 free relay for this year’s world championships. Though initially deemed a distance swimmer, working on the “shorter” distances in the past year should pay off in two weeks. Smith has something to prove in the 500 after placing ninth in the event at last year’s NCAAs, and it’s likely that she’ll not only get into the final, but she will be in the thick of the race. Thanks to her newfound early speed and her traditional closing speed, Smith has the perfect balance to contend for the 500 free title. As for the mile, she is hungry to move up a place or two this year after getting third in 2014. MacLean will be the pacesetter, and Smith might be one of the few who can not only match that pace but sustain it for 15-plus minutes. 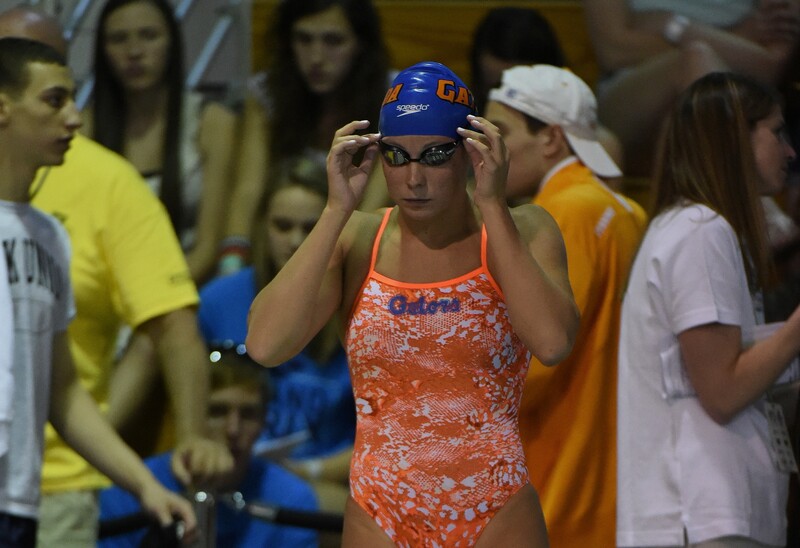 The Florida junior has been swimming very well this season, regularly posting some of the fastest in-season times in distance freestyle in dual meet action. Though she has never made a championship final in the 500 free (highest place: 10th in 2013), she comes into the meet seeded fifth with an opportunity to make a big leap forward. She already did that this season, dropping two seconds off her lifetime best to get the invite with a 4:36.62. The confidence that she will use to get into the final should carry over into the actual race, where her years of grueling training in Gregg Troy’s program will pay off. Her best event is the mile, and if she can swim within herself and not be concerned with whatever pace is set in the early stages, Thielmann could earn a top-three finish, a major upgrade from placing 20th last year and sixth in 2013. “Smith has something to prove in the 500 after placing second in the event at last year’s NCAAs, …” Smith was 9th last year, winning the the consol at 4:33.75, 3rd fastest overall; had fastest 400 split at 3:38.60. Missy Franklin was second. I assure you “ninth” was in my brain! That is a good point that she was fastest at the 400, and I think she just needs the competition in the championship final to hold on in the final 100. I think Cierra is the favorite this year! You are only as fast as your last swim!